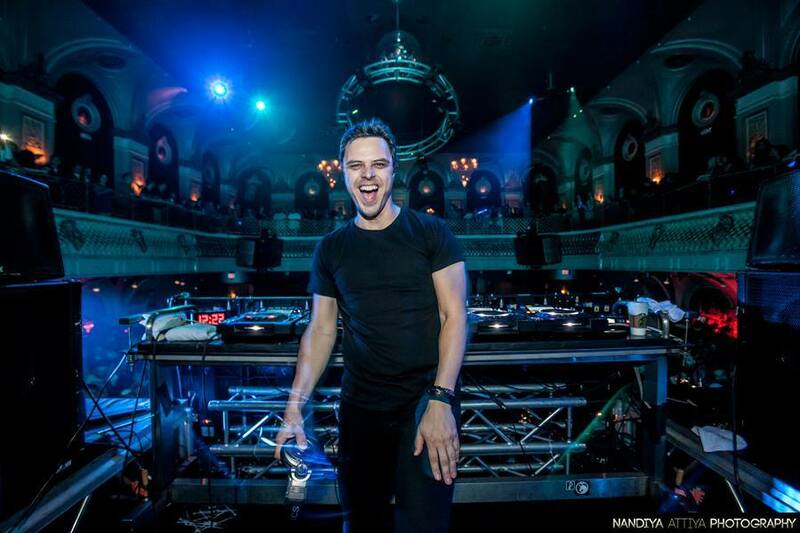 Markus Schulz gives his take on Indian Music Scene; its evolution & more! Very soon, the Indian shores are going to be swept by a powerful influx of waves of German awesomeness and we’re sure the buzz might have got to you. Markus Schulz, one of India’s much loved international artists is, yet again, set to up the decibel levels in the subcontinent with performances in four cities across the country as part of Vh1 Supersonic Club Nights. And right now, its our turn to create some more buzz, thanks to the incredible opportunity of putting together an exclusive interview with the Miami-resident. Since teaming up with Ferry Corsten as New World Punx in 2013, the German-American DJ has since, extensively toured the globe, cutting across both the public as well as private realm, playing in clubs, festivals, and other dance music events. Having already fascinated the Indian audience with his rich experience in the industry and his flawless adaptations to the ever changing electronic scene, Markus Schulz has given some interesting, insightful and heartful replies that will make you tearful with joy as an Indian and more so, as a global music aficionado. EDMofy Team: This will be your fourth visit to India, how has your experience been so far? Markus Schulz: Every visit has been fantastic, although the previous two were a little on the short side due to the schedule. This will be my first proper club tour of the country for four years, so I’m really looking forward to playing in a more intimate setting for the fans. The Indian people are so humble and welcoming, and that’s why one of my twelve instrumental productions this year that forms the 2015 city series will be dedicated to them and the country. EDMofy Team: What is your take on the Indian EDM Circuit? Markus Schulz: For me, it’s probably one of the fastest growing scenes in the whole electronic world to be honest. Events like the Sunburn Festival at Goa and the Enchanted Valley Carnival are attracting global attention now. If I had the opportunity, I’d love to play in the country more than just one stretch a year. I’m also very happy to see some production talent come out of the country. Praveen Achary has had some great little progressive gems that I’ve used in my open to close solo sets over the past couple of years, and I loved Kash Trivedi‘s remake of the classic Fiji along with Paul Thomas and Russell G, which I played quite a few times on Global DJ Broadcast. EDMofy Team: You have been in the EDM circuit for more than 20 years; how according to you has it evolved? Markus Schulz: Oh it’s completely unrecognizable comparing then to now, with the biggest evolution probably happening within the previous five years. The advances in technology and the internet, along the introduction of social media, have probably made the biggest impact. Back in the day, acquiring an acetate vinyl of the next hot new track was next to near impossible, especially during my residency days at The Works in Phoenix. And if you wanted to produce something, you either had to buy lots of hardware for your own studio, or rent space in a studio, at great expense. Nowadays anyone can learn the software, produce a track and within hours can have it sent to hundreds of DJs around the world to play in their sets, which if you sit back and actually appreciate is incredible. When you see the amount of investment into mega festivals that are being staged on a regular basis, I can’t believe how spectacular and massive the scene has become. New talents are springing up overnight and bringing new ideas to the table, and more and more people worldwide are falling in love with electronica. EDMofy Team: Of all the festivals you’ve headlined, which one is your favorite & why? Markus Schulz: Probably impossible for me to pick just one definitively, so I guess I should mention a few. Ultra in Miami and Nature One in Kastellaun both have that hometown / country of birth aspect to them, and there is something magical about being able to perform in front of your family members and close friends outside of the industry. I really enjoy the Electric Daisy Carnival in Las Vegas. I think that ever since they moved it to the motor speedway, it signalled the extravagant growth of dance music in the United States. Over the past couple of years, I have developed a special relationship with Tomorrowland. Normally when playing a festival, you have a short 60-90 minute timeslot, but they have been incredibly accommodating in allowing me to take the open to close solo set concept from the clubs to the outdoor setting. And although it’s an arena event and not a festival, I have to highlight the incredible Transmission in Prague, where I have become somewhat of a resident and international ambassador for the event. It has grown to become the premier indoor event in the world, and it’s something I would love every fan out there to experience at least once. EDMofy Team: What is it that you would like to change in the existing EDM scene & why? Markus Schulz: I know that it’s probably a side effect of the instant gratification demands of modern society, along with the ease of digital downloads, but I wish that tracks and albums had more of a shelf life. It almost feels like once something is released, fans want you to quickly move on to something new immediately. Although I doubt that trend will ever reverse now. As the new generation of fans become increasingly prevalent, the most important thing I’d like them to appreciate is that there were a lot of people breaking their backs and supporting the scene before it exploded; and that should never be forgotten. The art of DJing is a beautiful thing, and it’s something that should be highlighted and valued in our industry. It’s why I strive to work with promoters in having the ability to play longer on nights than originally scheduled. I need the open to close solo sets to feed my soul. EDMofy Team: Is there any rising star in the industry who we need to watch out for? Markus Shulz: Within the Schulz Music Group family, I am incredibly lucky to have some outstanding talent coming through. Slovakia‘s Nifra has made great strides over the past year in particular with her productions, and her DJ sets are so well constructed. As far as I’m concerned, she is the queen of trance. Dutch duo Fisherman & Hawkins have yielded anthem after anthem this past while, and they emit a lot of energy when performing live. And on the progressive side, Gai Barone’s production level is incredible, so hopefully he starts spreading his DJ wings more often. EDMofy Team: Any artist you haven’t collaborated with yet and would love to, in the near future? Markus Schulz: I’ve admired Eric Prydz’s work for many years, and he’s having another sensational year again. I’ve always wondered how a combination of our styles would sound. And I’d love to have the opportunity to collaborate with the likes of Coldplay or Lana Del Rey, who continually inspire me. However, there is one dream collaboration that will be happening this year, and that’s a track I am working on with an absolute bona fide legend of the music industry – the one and only Giorgio Moroder. I can’t wait to see what people will think of it! EDMofy Team: What should we expect from your upcoming India Tour? Markus Schulz: We are beginning to plan for the summer season now, so the gigs from now until mid-June are when I’ll start road-testing some new material. So fans on this tour will be hearing some work-in-progress pieces before anyone else worldwide. I cannot express enough how overwhelming the feedback has been from the Indian fans and beyond about my current vocal single Destiny with Delacey. I have a feeling it will be a special moment to play the track in each of the cities. EDMofy Team: Whats on your To – Do list for your India Tour? Markus Schulz: Eat lots of Indian food! Haha. Maybe a little bit of sightseeing if time permits. Markus Shulz: I can’t wait for the tour and to see all of you again. The Mumbai gig is being recorded for the Global DJ Broadcast World Tour that airs next week, so bring your voice and bring your passion for the world to hear. Missing this is not even an option. So improvise, reschedule and do all that’s possible to hear out Markus Schulz this coming weekend. Because if there’s anything that’s going to make your weekend, then it has to be his sounds. Tell us more about your past experiences and love for Markus! Meanwhile, his latest work to leave you in awe. Next article Daft Punk To Enter The Grid Again?